Florida Justice Association | Swope, Rodante P.A. 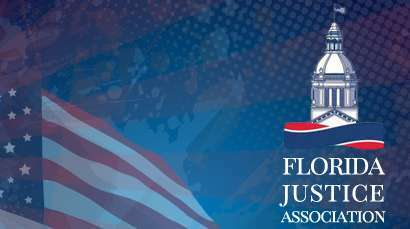 The Florida Justice Association is an organization dedicated to strengthening and upholding Florida’s civil justice system and protecting the rights of Florida’s citizens and consumers. The Association pledges to work in the legislative, political and media arenas to ensure that Floridians know and understand the importance of their rights to justice and to make certain that these rights, which are at the very core of what it means to be American, are safeguarded and protected. 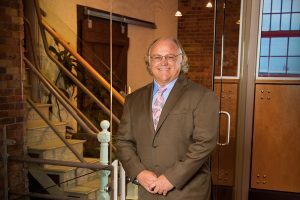 All of our attorneys are members of the Florida Justice Association (formerly the Academy of Florida Trial Lawyers), and several of our attorneys served on the Board of Directors. Others have volunteered their time serving as Chair to specific sections such as the Women’s Caucus and Appellate Section. Mr. Swope, who served as immediate Past President, has been a member of the Florida Justice Association since 1987 and has earned a silver, gold, and crystal EAGLE award for giving and was recently presented with a Guardians of Justice Award and the EAGLE Centurion Award. Additionally, Ms. Rodante is a recipient of the EAGLE Legend award in recognition of an exceptionally generous lifetime commitment to the FJA EAGLE Program.